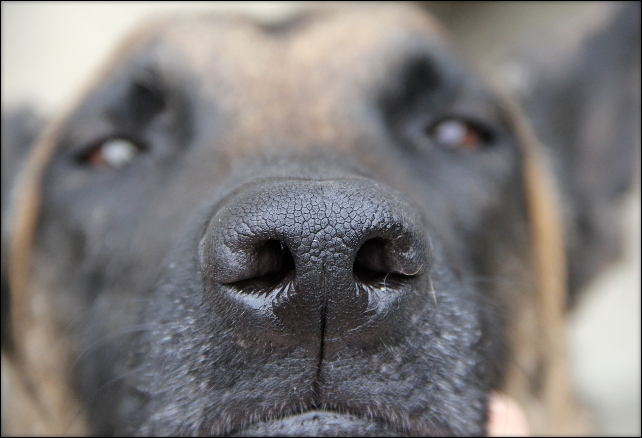 K9 Nose Work (R) – A Fun and Competitive Sport for Everybody! When I first started K9 Nose Work (R) with my old Shar Pei mix, I did it because I wanted to give my dog an outlet, a job, where we could spend time together aside from the all working dog environment I’m in most of the time. I had no expectations and was pleasantly surprised at how this sport was already well defined and professional, while still keeping it fun. Simba, my old male dog, does not like close contact with other male dogs and Nose Work was ideal for him. Although he still likes to goof around, he takes his sniffing seriously and soon got the hang of the game. He has surprised me many times, working and finding the target odor and showing it to me, when I thought, he was just playing around. And yes, he even managed to give me condescending look, waiting for his reward, while I was still scrambling to open the pouch with his hot dogs inside. K9 Nose Work (R) is a nation wide competitive sport for all kind of dogs. No breed is excluded and I’ve seen everything from Havanese and Bernese Mountain Dogs to Great Danes. And of course the Shepherds and Labradors. There’s always the Shepherds and the Labradors. Goal of the sport is for the dog to ultimately find three odors: Birch, Anise and Clove. The odors are hidden anywhere, really, some of the founders are known to be very tricky with their hides. 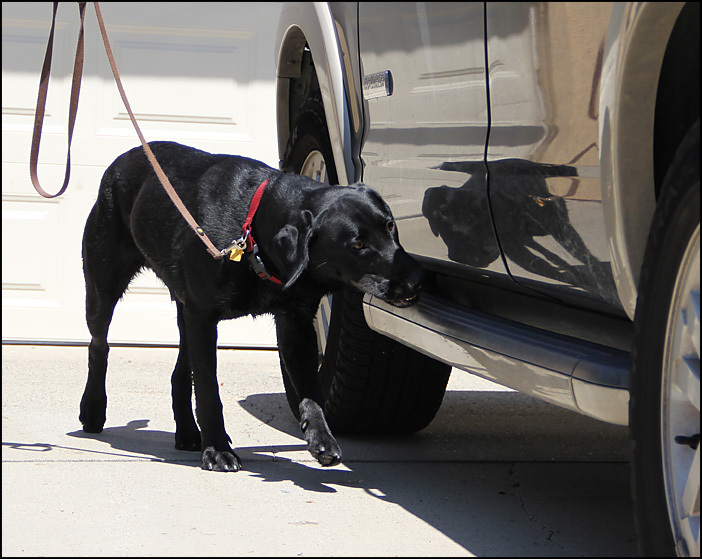 In a trial, several situations have to be passed, among them an inside room search, an exterior search and a vehicle search. You’ll feel like in a thriller, handling your dog like a pro bomb detection dog handler, even if your dog is a 12 pound Chihuahua! While the training does not compare to real life K9 detection, it focuses on the dog’s natural instinct of hunting behaviors. This is the sport, where we the dog teaches us, instead of the other way around. Maybe that is why it is so perfect for dogs with fear issues. I have seen dogs, too afraid to enter a room, to enthusiastically search that same room 2 weeks later! This fun and educational sport started about 6 years ago, in 2006 and exploded in popularity almost immediately. There are now classes and competitions all over the Nation as pet dog owners finally have a competitive sport, that does not require a specific breed or an athlete handler. I not only recommend it to all my clients who want to do ‘something’ with their dogs, but also to those, who’s dogs are reactive when seeing other dogs, as there are never two dogs in the same room. 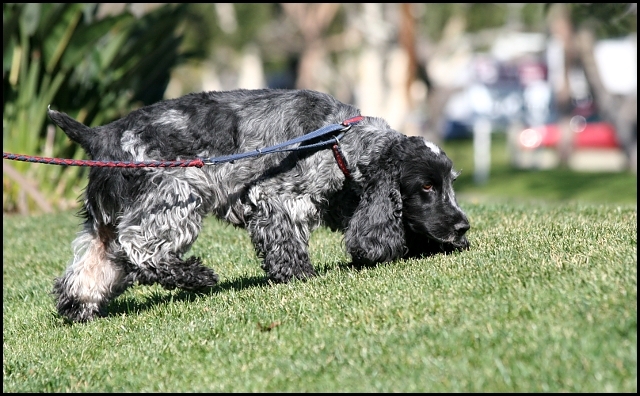 I have seen amazing turnarounds in dogs – and in owners! But most of all, it is an exciting team work and something, you can work on at home or even incorporate in your daily walks. For more information about K9 Nose Work visit www.funnosework.com or Rock Solid K9’s website.